Maude is a family-owned wine company, created by experienced winemaking couple Sarah-Kate and Dan Dineen. Producing hand crafted wines from their custom build winery amidst the stunning back drop of Lake Wanaka in Central Otago, New Zealand. 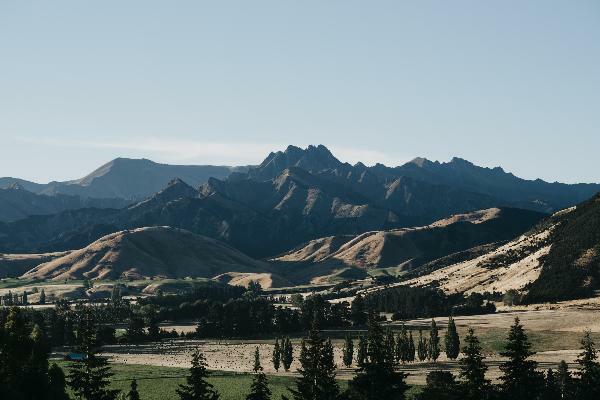 The family estate vineyard, Mt Maude, was planted in 1994 on the steep north facing slopes of the sheltered Maungawera Valley just outside of Wanaka, Central Otago. Tiny parcels of Mt Maude Vineyard wines reign supreme in the Maude range as the individual vineyard reserve wines. Wanaka cellar door is open for tastings Thursday - Monday 12pm - 5:00pm. Please check ahead as the season may effect opening hours.